DID you know, one-in-three girls and one-in-eight boys will experience some form of sexual abuse before they turn 18? It's a frightening figure for parents and children and Reclaim the Night, a global women's protest against men's sexual violence, is addressing the issue. 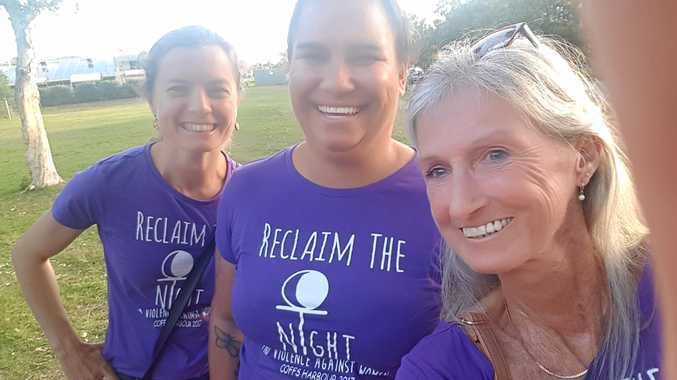 Starting in Australia in 1978, Reclaim the Night is about drawing people together from diverse backgrounds to collaboratively address issues of sexual violence and abuse against women and children. According to the NSW Bureau of Crime statistics and Research, 91% of sexual assault victims are women. On Friday, October 26, Coffs Harbour women and friends will be marching from the oval in Camperdown St and across the Jetty strip to the Twilight Food Market. The march will start at the oval behind the Pier Hotel at 5.30pm with a welcome to country by Aunty Jenny Skinner, 2018 winner of the Aunty Grace Roberts Community Development Award. From here, the march will set off with banners, accompanied by musicians to the twilight food market where guests will speak about Reclaim the Night and local initiatives women can reach out to. Everyone is welcome to come along to the family friendly event where children, women and men join together against sexual violence towards women and children in our community, nationally and globally.